In the world of business, we all know that a business card says a lot about the person giving them out. You've put yourself off to a great start by choosing a superior quality plastic business card from The Plastic Card People - but what comes next? 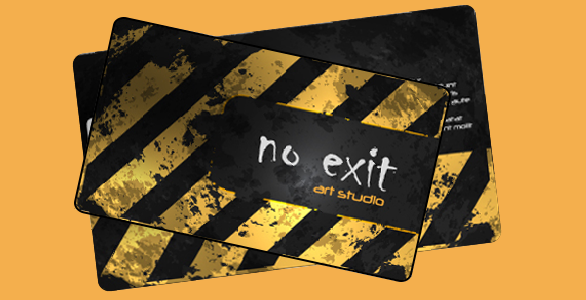 With an almost limitless possibility of custom designs available, what kind of card will you choose? A clean and simple (black text on a white background or vice versa) design screams professionalism. If these business cards could talk? They wouldn't - they'd sit at the back of the room quietly finishing their work to a perfect standard. Classically stylish yet with a modern sensibility, a professional business card is the hallmark of a well heeled individual or smoothly run company. Consider getting your key details embossed with a gold or silver finish for a subtle style point boost. We recommend sharp serif fonts such as Garamond or Elido to retain the minimal feel and look. 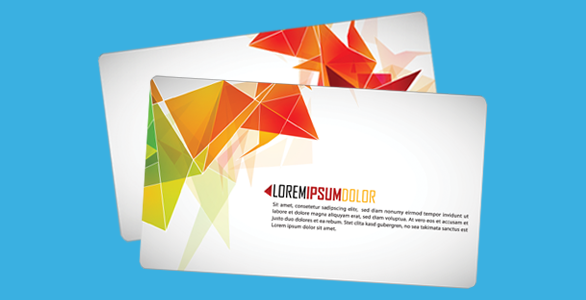 There are a few easy methods to help your business card project your unique and offbeat personality or company ethos. A bright and vibrant full artwork print or a colourful clip art splash related to your business could go a long way towards conveying the kind of company or individual you are. Pinks, yellows and pastel shades go well in these kind of designs. Consider alternating the artwork slightly between cards for example, to offer a unique experience with each copy. You might also want to take a look at our awesome frosted or see-through options, especially if either of these options seem related to the activities of your business. 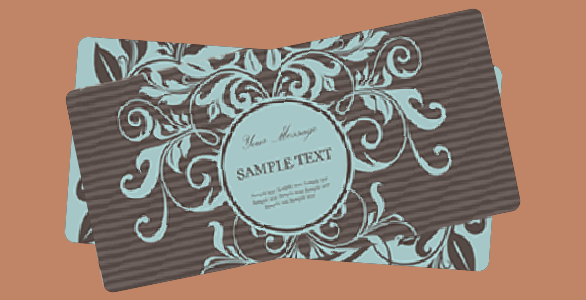 A simple black, brown or wood texture background shouts old school cool. 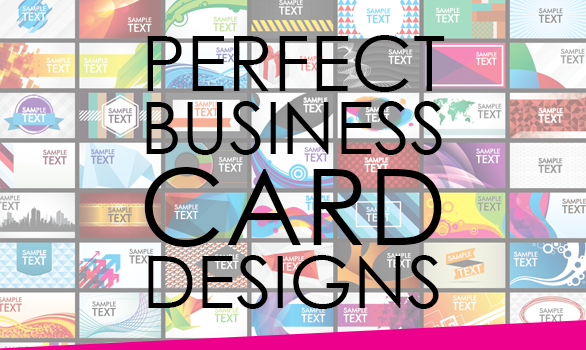 Relating your card to an old timely product such as a deck of cards, or having a typewritten serif style font to capture that balance between friendliness and professionalism, can help the vibe of your business shine through. Emboss gold lettering on the standout details you want clients to see, without seeming to excitable or off the wall. Dark tones layered in a design that almost simulates 3D can create an interesting effect for businesses in the mechanical or outdoor work sector. The thickest, the biggest, the baddest business card in town. All eyes are on you as you pass it around the table. Some settle for quietly getting down to business at the back. Not you, you want to be looked at. Big bold fonts with comical or semi confrontational branding in bright or contrasting colours are best for drawing the eye. 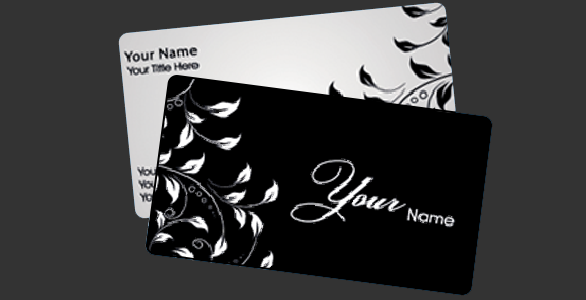 Statement one liners or quality design features, such as our frosted or semi transparent options, can help your business card stand out from the pack (pun intended) and with our 760 micron thick plastic design your card will certainly be the biggest on the block. Sometimes though, quiet is best. For businesses in sensitive sectors, a little bit of understatement can go a long way. Simple, minimal and dark designs should be the order of the day here - conveying your message as calmly and concisely as possible. A tasteful gold or silver finish on a black background might work well here, or just plain black text on a white background. We recommend a clean and uncontroversial serif font to add a little ornateness without being overly friendly or cute. So there were just five types of plastic business cards you could go for - in many ways, the only limit is your imagination. 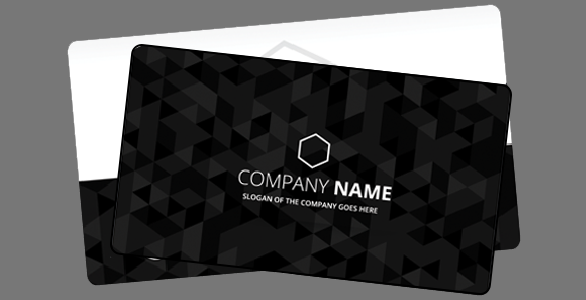 From loud and brash zaniness that grabs the attention to subtle monotone minimalism that implies discretion and professionalism, we can guide you to the perfect plastic business card for your needs. So give us a call now at The Plastic Card People and we'll sort everything from business card printing to delivery.